Claiming that the 2018 amendment to the Scheduled Castes and Scheduled Tribes (Prevention of Atrocities) Act of 1989 has become an “instrument to blackmail” innocent citizens and public servants, Advocate Sandeep Lamba has approached the apex court for the amendment to be declared unconstitutional. It may be noted that earlier this week, lawyers Prithviraj Chauhan and Priya Sharma had moved the Supreme Court in an identical PIL. 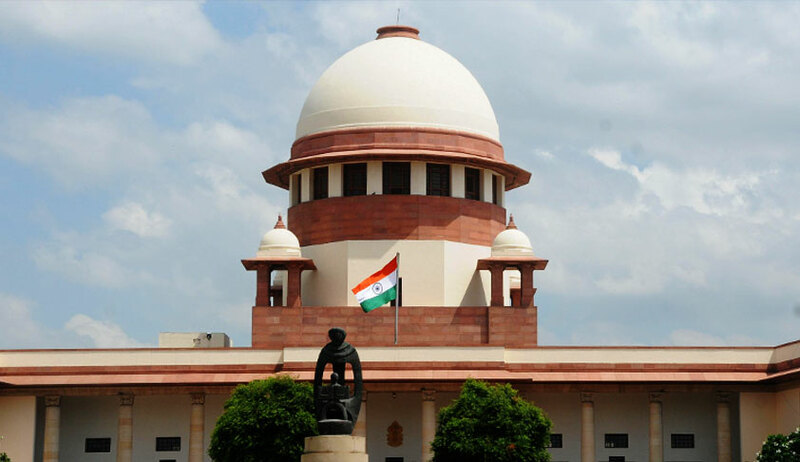 The grievance of the petitioners arises from the fact that even as the review of the controversial verdict of the Supreme Court in Dr. Subhash Kashinath Mahajan lies pending, the amendment was cleared by the Lok Sabha on August 6, rendering the judgment redundant. By way of the amendment, a new Section 18A has been inserted in the Act of 1989, which does away with the court-imposed requirements of undertaking a preliminary inquiry and of procuring approval prior to making an arrest. It also restores the unconditional ban on the grant of anticipatory bail in the event of an offence under the Act. The decision in Subhash Kashinath Mahajan was followed by a massive unrest across the nation, in the wake of which the Union of India and several state governments had sought a review of the same. However, the bench of Justices Adarsh Kumar Goel and UU Lalit had refused to relent. It has been averred that the Act of 1989 is used to exact “vengeance” and satisfy vested interests and that it is also prone to misuse on account of monetary incentive being available merely for lodging a case under Rule 12(4) of Scheduled Castes and Scheduled Tribes (Prevention of Atrocities) Rules, 1995. The petitioner has described the move on the part of the Central government in introducing the amendment as one motivated by the prospects of antagonising a huge vote bank ahead of the Lok Sabha elections next year. He stated that though all Indians, in general, have been treated as second-class citizens for over 800 years, first, under the Muslims and then under the colonial rule, the government, in place of securing equality before the law, has taken to appease certain sects of the society. It has been argued that the exclusion of the provision for anticipatory bail is arbitrary and unjust, in as much as wrongful arrest infringes the right to personal liberty under Article 21, and cannot, by any reasonable interpretation, be applicable when no case is made out or the allegations are patently false or motivated. It has been suggested that the power of arrest should be exercised only after complying with the safeguards of scrutiny, credible information and just and reasonable procedure under Sections 41 and 41A of the CrPC. The petition urges the court to not remain a mere spectator by virtue of the violation of fundamental rights in the present case, indicating how the judgment of the Supreme Court in Shah Bano, entitling divorced Muslim women to maintenance under Section 125 CrPC, was overturned by the introduction of the Muslim Women (Protection of Rights on Divorce) Act, 1986 to garner the votes of the orthodox minority community, and eventually how in Shamim Bano, Section 125 was held to be universally applicable regardless of the personal law. Relying on the 2015 decision in Shreya Singhal, where Section 66A of the Information Technology Act was struck down for a violation of fundamental rights, Lamba argued that 2018 amendment is violative of Articles 14, 19 and 21.